A fireplace adds an economical heating source to your home as well as an aesthetic value to your home. While it is a job best left to professionals, if you take great care, it is possible to complete this task on your own. If you have any questions as you go through the process of installing a fireplace, do not hesitate to call someone who specializes in fireplace installation. If you do not install a fireplace correctly, the results can be deadly. Fireplaces are an attractive feature to a home, but precautions must be taken when installing in a mobile home. Call your insurance agent. Before starting any work or purchasing any materials, you need to see if there will be any insurance issues with your home if you install a fireplace. Build a fireproof hearth for your mobile home. This can be another common roadblock when hoping to install a fireplace into a mobile home. Adding the weight of concrete, brick or stone to the floor may be too much of a weight load. It is best to find out how thick your subfloor is and what your beam spacing is. Then, contact your local home improvement store to find out what load your floors can accept. 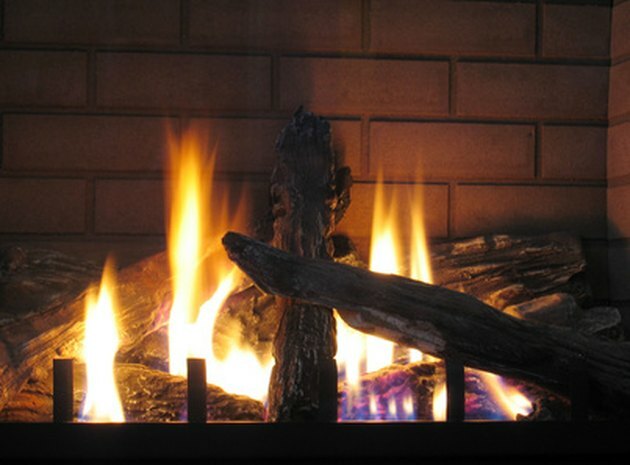 Install the fireplace at least 36 inches from any combustible wall. If you would like to install it closer to the wall, contact your home improvement store to purchase a suitable non-combustible wall protector. Install stovepipe from the top of the fireplace through the roof. This needs to remain at least two inches from any combustible building material at all times. Install combustion air inlet at the back of the fireplace. Be sure the damper, outside of the mobile home, is above the height of snow. This allows fresh air to come into the fireplace. Consider installing an electric fireplace as a substitute. Many modern electric fireplaces give off sufficient heat for heating an area of your mobile home. If you are hoping for the ambiance provided by a fireplace, today's technology is able to replicate a traditional fireplace quite well.